Tekken 7 Fated Retribution, the new updated version of Tekken 7 launching this year on consoles, is one of the many games that Japanese publishers are showing during JAEPO 2016, a Japanese event dedicated to arcade games. Earlier today new gameplay footage has surfaced online, showcasing one of the new characters included in the game. The new Tekken 7 Fated Retribution gameplay video showcases a match between Tokido, using Akuma, and Nobi using Dragunov. Akuma looks incredibly powerful, but it’s pretty clear from the match how there’s a way to counter many of his powerful special techniques. You can check out the new gameplay video right below. A new Tekken 7 Fated Retribution trailer has been made available last week. The trailer focused on the Rage Attacks mechanic, which will work differently than in the original Tekken 7, granting a variety of advantages such as additional knockback, extra juggles and much more. Another Tekken 7 Fated Retribution trailer has also been made available earlier this month, showcasing Tekken series veteran Nina Williams and the already mentioned guest character from the Street Fighter series Akuma. The powerful fighter from Street Fighter is probably going to be the only guest characters that will be available in Tekken 7 Fated Retribution. A while back, it’s been revealed that series creator Katsuhiro Harada isn’t fond of guest characters, as they alter the balance of the Tekken world and setting. Akuma, however, is a very good fit and doesn’t feel like a gimmick, according to the team. Tekken 7 Fated Retribution will be released in Japanese arcades later this year. The game will also be released on PlayStation 4 and Xbox One on a yet to be confirmed 2016 release date. 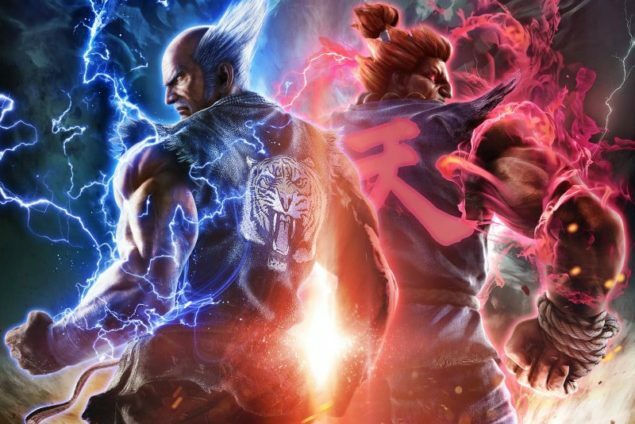 We’ll keep you updated on the game as soon as more comes in on it so stay tuned for all the latest news on Bandai Namco’s upcoming fighting game.